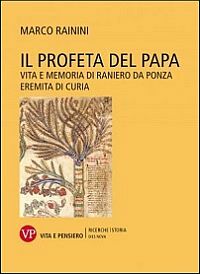 Marco Rainini provides a solution to this contrast in his Il Profeta del papa: Vita e memoria di Raniero da Ponza eremita di curia, the first monograph devoted entirely to Raniero of Ponza and his surviving works. As stated in the introduction to the volume, Rainini's investigation draws on Grundmann's conclusion, from which he infers the need to determine Raniero's theological and prophetical personality, how it relates to Joachim's thought, and its impact on the papal court. 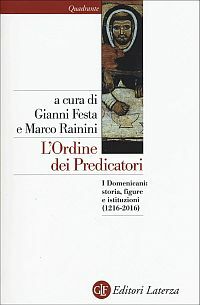 These premises led Rainini to re-examine all the available sources on Raniero and to reconstruct the process of the transformation of his historical figure into a literary figure and the context in which it occurred. The arrangement of the volume reflects this chronological development. In the first chapter - I. 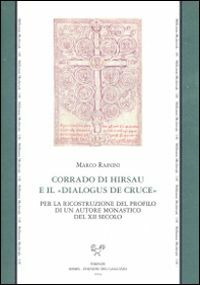 In vita - Rainini reconstructs the circumstances of Raniero's encounter with Joachim and their sharing of the new monastic experience on Mount Sila up until 1192; Raniero's hermitical experience in Ponza and his relationships with the abbey of Fossanova; Raniero's diplomatic missions on behalf of Pope Innocent III and his involvement in the interpretation of a dream; Raniero's contribution to the recognition of the order of the Umiliati, glimpsed in echoes of Joachim's Concordia and Liber figurarum found in the Licet multitudini; Raniero's role as a mediator between the Cistercian order and the Pope, his interpretation of a vision to benefit the former, and his endorsement of Joachim's view of the Cistercian in a letter to the abbot of Cîteaux; Raniero's possible influence on Innocent III's interest in Joachim's thought and writing, and the Pope's backing of Joachim and his order. The second chapter - II. Opera authentica - deals with the reconstruction of Raniero's attitude to Joachim's thought and his exegetical method. After referring to evidence of Raniero's written production, Rainini focuses on the only extant text composed by Raniero, namely a letter to Arnaud, abbot of Cîteaux, in which precise quotations and allusions reveal Raniero's acquaintance with Joachim's writings and, in particular, with a diagram preserved in the Praemissiones, thus in its original form. Rainini argues that the final section of the letter testifies that Raniero had assimilated Joachim's exegetical method and his addressee was also acquainted with Joachim's thinking. The chapter concludes with a reflection on Raniero's prophetical status at the Papal court, which seems evident due to both his use of Joachim's method and his ability to interpret dreams and visions. The third chapter - III. In morte - outlines the influence Raniero exerted on Ugo dei Conti di Segni as cardinal and Pope. Rainini analyses a letter written by Ugo upon the death of Raniero, some passages of which suggest that Raniero introduced Ugo to Joachim's exegetical method. Rainini also identifies Raniero and Ugo as the hermit and cardinal mentioned in the Speculum by Gebeno of Eberbach in relation to a prophecy on the imminent coming of the Antichrist; he also suggests that Ugo was acquainted with Eberhard of Rohrdorf, abbot of Salem, with whom he shared an interest in eschatological literature. After recalling the support Ugo showed on several occasions for the order founded by Joachim, Rainini points out that Giuseppe, notarius and datarius of Pope Gregory, was a monk from Fiore and that a passage of the letter on Saint Dominic's canonization, possibly formulated by Gregory and Giuseppe, echoes Raniero's letter to Arnaud of Cîteaux. Rainini found further evidence of Joachim's influence on the Papal court through Ugo's memory of Raniero's teaching in the hymn Caput draconis. The fourth chapter - IV. Post mortem - deals with the pseudo-Joachimite writings mentioning Raniero. Since these texts were composed after Gregory IX's death, Rainini suggests identifying Raniero of Viterbo, cardinal of Santa Maria in Cosmedin, who was close to Ugo and to representatives of the Mendicant orders, as the keeper of Raniero's memory at the Papal court, along with the Cistercian Giacomo da Pecorara and Giovanni da Toledo. Giovanni da Toledo or Raniero da Viterbo have been considered by previous scholarship as the author of the De decem plagis, introduced by a letter addressed to Joachim from the pseudo-Raniero da Ponza. Giovanni da Toledo, Raniero da Viterbo or Giovanni da Pecorara have also been considered the author of the Expositio super sibillis et Merlino, in which Raniero features as a prophetic authority. 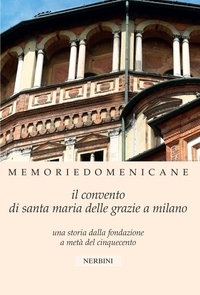 However, Rainini proposes locating the genesis of the text in a South-Italian monastic context. He also suggests interpreting the sentences attributed to Raniero in the Expositio as quotations from a lost pseudo-epigraphical writing. This leads to the suspicion that Raniero of Viterbo, who belonged to the Papal curia but was also a friend of the order founded by Joachim, might be behind the Raniero mentioned in these texts. The conclusions - Conclusioni - summarize the results of this investigation and precede the critical edition, introduced by a brief preface, of Raniero's letter to Arnaud, Ugo's letter upon the death of Raniero, and the De decem plagis. Reproductions of some diagrams from the Liber figurarum and the Praemissiones are found at the end of the volume, followed by the bibliographical references mentioned in the volume and an Index of names. This brief summary shows the remarkable results of Rainini's investigation. He completely fulfils the goals stated in the introduction, and through his in-depth knowledge of Joachim's writings, pseudo-Joachimite literature, and related scholarship, he goes even further in substantiating the centrality of Raniero's thinking and teachings in the Joachimite network he created and that survived long after his death. Herbert Grundmann: Zur Biographie Joachims von Fiore und Rainers von Ponza, in: Deutsches Archiv für Erforschung des Mittelalters 16 (1960), 437-546.